My career in this industry spans more than 20 years. I have worked for a handful of some of the finest luxury and high-performance manufacturers in their respective categories in Sales, Marketing and Operations roles. Visit my LinkedIn profile to review my background. In creating my company, I look to form partnerships with select manufacturer teams, and their portfolios of products that offer performance and design differentiation. The top-tier dealers across the U.S. know that I will only bring them specialty products, best in their category, worthy of serious consideration for their portfolio. Varies by brand, see below. I am honored to represent the products below, and the teams of great people behind them. Representing the entire lineup of amazing products for Trinnov, Whether for an immersive private cinema, or a world-class music system, welcome the room into the mix with Trinnov Audio and hear the difference. Represented in CA, Northern NV, OR, WA, AK and HI. Lode Audio was created to re-introduce high-quality music reproduction to the CI market. High-end multi-room audio streaming solutions for residential, marine, hospitality, and commercial markets. Manufactured in the UK, with a U.S. subsidiary in New Hampshire. Represented in Washington, Oregon, Alaska, Western Idaho, Arizona and Southern Nevada. Also, Head of Sales for entire U.S.
At Vivid Audio, our team represents more than four decades of changing the way our customers experience sound. Our loudspeakers are designed to produce a perfectly transparent, symmetrical, open sound, free from colour, resonance and reflection, that connects you, the listener, seamlessly with the performer. We’re an engineering-led company, applying our unique acoustics expertise, technical skill and design creativity to develop truly ground-breaking products. Manufactured in South Africa, and designed in the UK by Laurence Dickie, inventor of the B&W Matrix and designer of their flagship Nautilus™. I am a partner in Vivid Audio U.S.
AIA AVB network technology enables our system to stream audio signals to any number of AIA AVB loudspeakers / amplifiers in a high resolution, loss and interference-free manner. Distributor for the entire U.S.
Nakymatone has succeeded where other invisibles have failed...sound quality that will shame even some in-wall brands. Performance and ease-of-installation advantages way above the alternatives. You need to hear a demonstration. Represented in CA, AZ, NV, OR, WA, AK and HI. Also, Head of Sales for entire U.S.
HTE is an Italian company offering customized treatments that are not only visually stunning, but completely integrated with the room, whether it be a dedicated private cinema, or a multi-purpose living space within the home. Recreating an immersive movie experience at home requires flawless design and accurate acoustics, and above all, comfort and livability. Anyone who has laid eyes and ears on D’Agostino products should appreciate that they’re not just for audiophiles. Like fine watches and automobiles, appreciation for gorgeous design and superior performance extends far beyond. Whether installed in a rack driving world-class private cinemas, or displayed as audio jewelry in an office or den as part of a high-end music system, I look forward to introducing Dan D’Agostino Master Audio Systems to a select tier of Custom Installation companies with client lists who will appreciate these exceptional products. Represented for CA, HI, OR, WA, ID, NV, MT, WY, UT, CO, and NM, with specific focus on the high-end Custom Installation channel. The Waterfall Audio line is unique in its appeal to designers and clients interested in featuring the gorgeous glass designs throughout fine interiors. 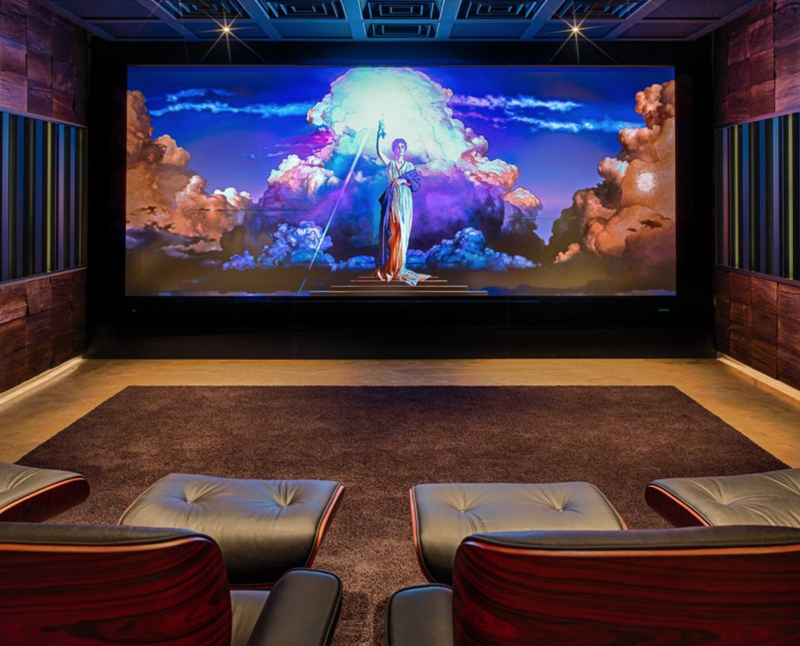 The Pro Custom Series extends the Waterfall experience into private cinema rooms, delivering clear and intelligible high-impact performances. With 70 years experience in the pro speaker industry, Architettura Sonora is a range of high performance speakers that will suit any need - indoors, outdoors, in your residence, or in your business. Designed and handcrafted in Italy, with stunning high-end material options, gorgeous sculptures meet professional performance to deliver statements in both beauty and sound. Represented for the entire West Coast. Stromtank Audio Power of Germany is known for providing a foundation of stable and pure AC supply, enabling high-performance products to do what they do best without the risk or degradation of electrical supply from the grid. Often overlooked by both dealers and clients who underestimate the impact of stable, pure power and settle for lesser solutions, the rest of their elaborate systems are then built on this mistake. Stromtank is distributed in the U.S. by Dan D’Agostino Master Audio Systems. I am always interested in hearing from someone who appreciates products differentiated in design and performance. Your message has been received. I will respond as soon as I can.